Who uses 5+ servers or containers? View Awesome Monitoring Infrastructure Using the Elastic Stack. 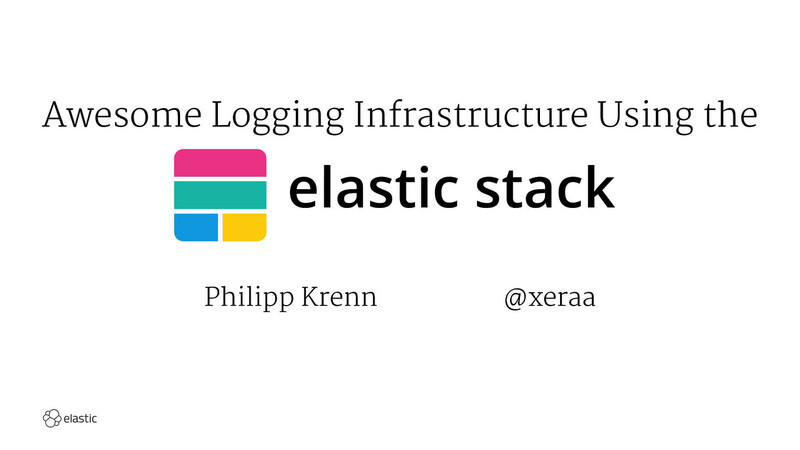 One of the hottest and most widely used tools for log monitoring and analytics at the moment is the Elastic Stack: Elasticsearch doing the hard work of analysing and searching large amounts of data. Logstash for parsing and enrichment. Beats as a lightweight agent or forwarder. Kibana for powerful visualisations. This talk gives you an overview of the four technologies, how they are working together, and how they can solve your problems.